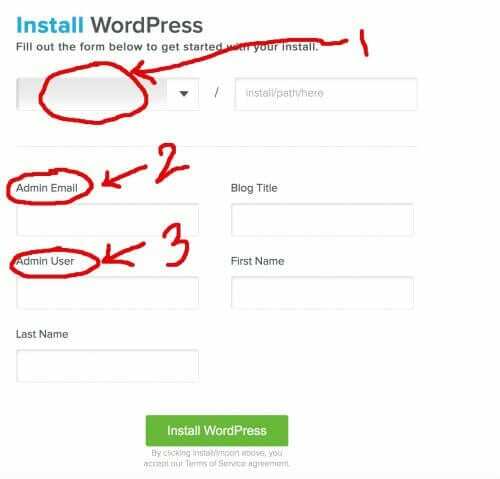 How to Install WordPress is the second part of the free Website Development Tutorial Series. 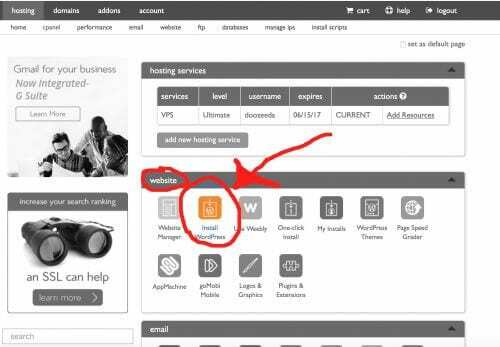 In this tutorial, I am going to cover WordPress (which is free) installation on your domain and signing in through WordPress. I’m including a blanket statement here that I do have affiliate links on this site, which means that if you sign up for something, you are not paying any extra but I receive a cut from the company. So if you are going to get it anyway, get it through here, so I will be inspired to really ramp up on the free tutorials and resources I put out! Thanks. All right, so. 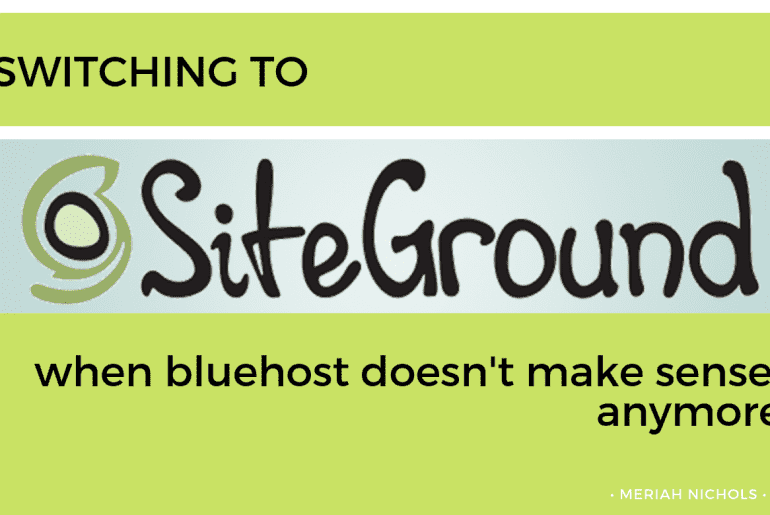 In the last post, I was recommending that you hop over to SiteGround or Bluehost to get your domain purchased and your hosting plan set (and the post explaining the difference between SiteGround and Bluehost is linked here). I’m assuming you did that, but if you haven’t and want to use either of those as your host, go ahead sign up. Since I use Bluehost myself, all of the screenshots about installing WordPress are coming from Bluehost. If you are hosting elsewhere, that’s fine. DO NOT LOG IN THROUGH GOOGLE. It’s just not a good idea to use your accounts in multiple spots and indirectly share your account passwords (and thus, account content). 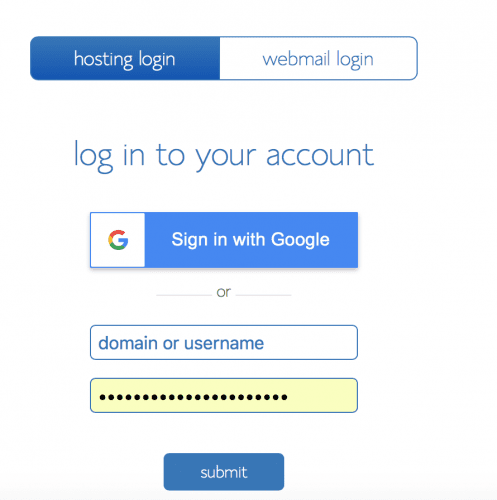 Log in through your domain name and the password you established in your domain purchase and host set up. Now, when I first saw my cPanel, I was pretty scared because it all seemed SO COMPLICATED. Guess what? It kind of really is! They try and fool you by making those large colorful buttons, but I know very well know that messing around a lot there without knowing what I’m doing will break my site. So don’t be like me. Be careful. This is Quick Install, but I’ve seen Mojo Marketplace here too. It doesn’t matter which service it is – you just want to click on the FREE INSTALL piece – ignore all the options for money; you really don’t need it if you follow this free tutorial to the end. So, click on FREE INSTALL. When you click on it, the “Install WordPress” page shows. Admin Email: it’s best to set this to an email address you don’t use that often, so it’s less likely that a hacker will guess based on your public or better-known email addresses. Admin User: this is the username that you will be entering every time you log in to your account. You want it to be memorable of course, but not easily guessable. You can’t change your Admin User Name later, so make sure you choose wisely! 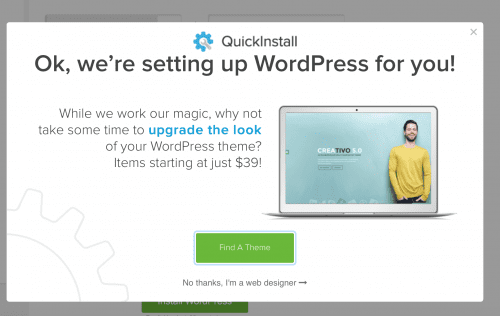 Click the green “Install WordPress” button. This pisses me off, by the way – because they are basically trying to weaken your self-confidence in setting up your own site, because you need to decline their “starting at $39” offer and click on “No thanks, I’m a web designer” to go forward. 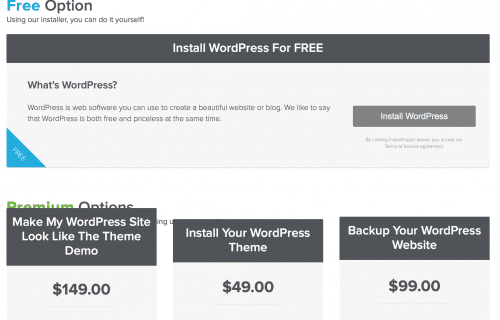 No, you are not a web designer, and I’m not either and you DON’T HAVE TO BE to install and set up your WordPress site. That’s it! 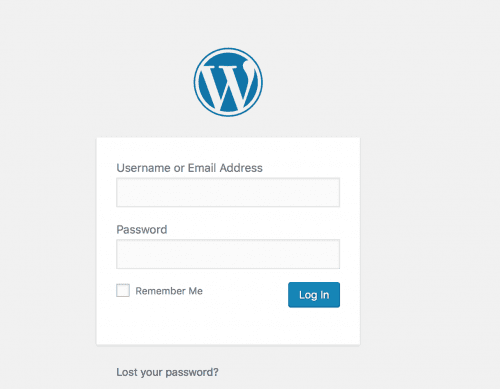 WordPress is being installed on your site now. When the popup comes that says it is installed. just logout and leave. Congratulations: you are done with the installation!! Now it’s time to log in. You know what’s funny? Well, when I first set this stuff for my site – that is, I moved doozeedad.blogspot.com to doozeedad.com, then I changed domain names to withalittlemoxie.com at Bluehost, and installed WordPress. I didn’t know what I was doing and was following a tutorial that I found online. The tutorial left me with my site installed and then I had NO IDEA how to get in and actually get to my dashboard! I ended up having to get live-chat with Bluehost service staff to figure out how in the hell to log in. #truestory. cuz you can’t make this up. I don’t want you to go through that, which is why I’m going to tell you how to log in to your site!! And you enter the Username and the password that you selected during the install. Hit “log in” and you will be in your brand-new site! Stay tuned for the next tutorial, which will be “understanding your dashboard”, coming soon. Sign up below to get the updates directly to your inbox. How Does a Person with No Arms or Legs Eat? Who Does the National Down Syndrome Society Serve Exactly?